What is a Thermal Image Sensor? Thermal imaging is the method of using the heat given off by an object to generate a picture of it. This image sensor works in surroundings without any ambient light and can enter obscurants like fog, haze and smoke. The first thermal image sensor was developed for military applications in the year 1950 and in the year 1960, it was developed by Hughes, Texas instrument and Honeywell. Nowadays, this sensor is used in several applications namely security, industrial, firefighting robot, medical, law enforcement and other industries. Image Processing can be defined as any type of signal processing for which the input is taken as an image of a photograph and the o/p may be an image or set of parameters related to the image. For science communication, the two main colour spaces are CMYK and RGB. This is the subtractive colour refers to the four inks used in magenta, cyan, black, colour printing, and yellow. This model is named as subtractive because links subtract brightness from white. An additive colour model in which, RGB (red, green and blue) are added jointly in different ways to regenerate array of colours. Here white is the additive combination of all primary coloured lights. 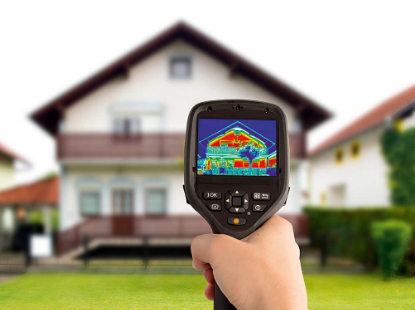 The term TIC stands for thermal imaging camera records the radiation’s intensity in the IR part of the electromagnetic spectrum and changes it to a visible light. 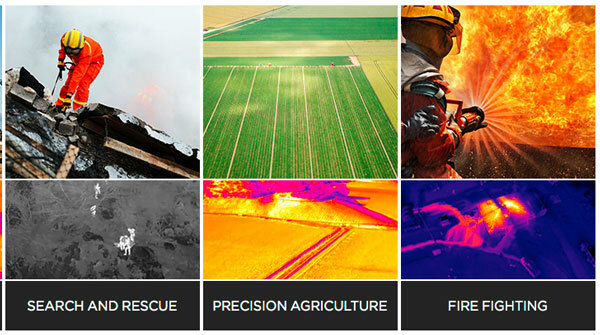 A thermal imaging camera includes five components namely an optic system (lens), the detector (cooled detector and uncooled detector), amplifier, signal processing and display (standard video monitor). Thermal image sensor cameras are classified into two types namely cooled thermal imager and un-cooled thermal imager. Cooled detectors are generally contained in a vacuum sealed case and cryogenically cooled. Cooling is very important for the semiconductor material operation. Cooled IR cameras give better image quality. It is expensive and bulky to generate and run. Cooling is power hungry and time consuming hence the camera requires time to cool down before it can start working again. Un-cooled detectors employ a sensor operating at ambient temperature, or a sensor become stabled at room temperature using control elements. Image quality and resolution tend to be lower than cooled detectors. It is smaller and low cost to generate and run. These imagers can work fast and consumes low power. The applications of thermal image sensor include the following. 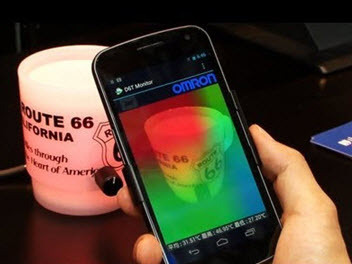 Thermal image sensor simply displays surface temperatures of solid objects. IR senses the temperature based upon light’s wavelength which is emitted by the object. IR, therefore, does not show the temperature of objects that reflect light, (glass, shiny metal, light coloured objects in direct sunlight). IR does not “see through walls”, but only shows the very small differences in surface temperature of the wall. An image of areas behind and not in getting in touch with walls depends upon the temperature difference of the area. It is easier to see warm objects because; they will be burning heat to the not-in-contact surface. Careful modification of the range of temperatures displayed is significant to appropriate imaging and interpretation. Thus, this is all about thermal image sensor working and its applications. It is an innovative protection inspection program. The early warnings can give really do save lives. It can help you & your corporation to schedule repairs and boost your productivity. As a result, you can also save money. If you have any queries regarding this or to implement any electrical and electronic projects, please give your feedback by commenting in the comment section below. Here is a question for you, what is the function of a thermal image sensor?